The different models of TFL and VFX Flexible Transfer Machine combine the features of the Traditional Transfer Machine with a high level of flexibility, conveyed by the revolving tool holders. As the parts rotate, these machines are not only flexible but also easy to reconvert, being capable to shape parts of different dimensions pertaining to the same family as well as pieces completely different from one another. In addition to the traditional fixed units, the rotating jaws and the rotating self-centering chucks can be combined with machining centres and tool changing turrets with a number of positions that ranges from 3 to 8. 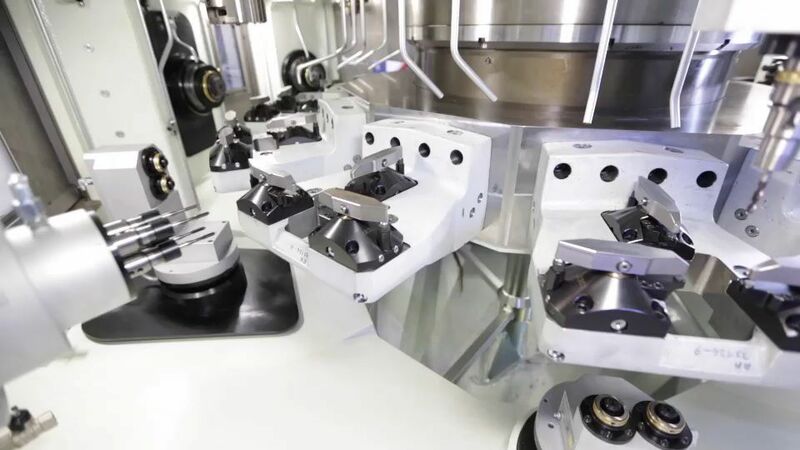 When doing so, they become machining cells perfectly stackable on machining centres, thus rendering the production costs much more competitive. You can find all detailed technical figures in the "CATALOG AREA". You can also see samples of this product in the Photo's and Video's gallery, here below.